Long term solutions for your complex roofing system needs. Madsen Roofing completes Carol Miller Justice Center. Over 25 years of high quality workmanship and cutting edge service. With the support of a dedicated and well-trained staff—quality and safety continues to be our number one priority. Innovative and personalized solutions is our specialty. We enjoy a hard-earned reputation for personal attention, practical problem solving and safe job site practices. Building better roofs, building better communities. Madsen Roofing crew at Habitat for Humanity community project. For over 25 years, Madsen Roofing & Waterproofing, Inc. has been providing high quality commercial roofing, waterproofing, repair and maintenance to Central and Northern California, Nevada and Oregon — delivering building owners, property managers, architects and tenants with commercial roofing and waterproofing expertise and superior customer service. With reliable, dedicated service and superior solutions, you can expect longevity from our services that reflect the longevity of our company. Ready to see what the experts at Madsen Roofing & Waterproofing, Inc. can do for you? Get a free estimate. At Madsen, it’s about more than roofing services—it’s about solutions. We take a personal approach, are budget-friendly, and our roofing systems stand the test of time. Let us tailor a solution to resolve your commercial roofing needs. The elements can wreak havoc on your roof. Extend your roofing system’s lifespan through regular inspection and routine maintenance. 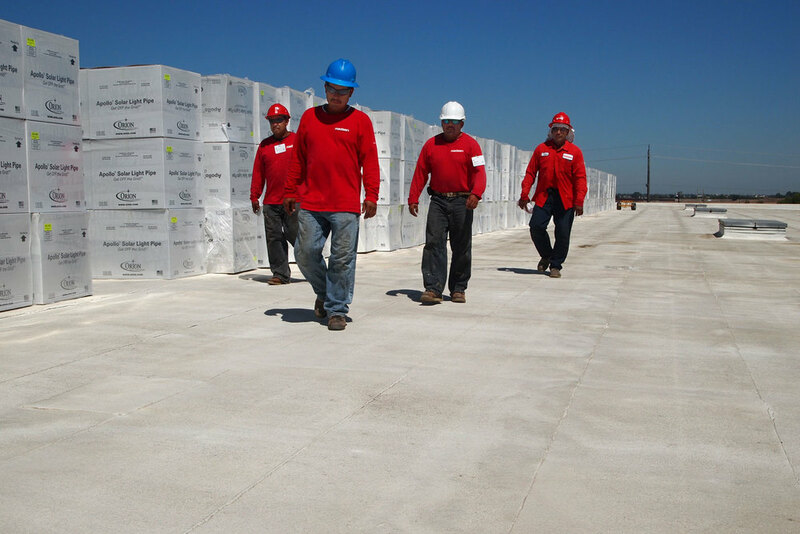 We'll keep your commercial roofing system healthy and eliminate your worry. Protect your roof today. For all your emergency roofing and building envelope needs our experts are ready and waiting to fix your situation quickly, affordably, and with the trusted level of service our clients have come to expect. Let us keep you dry. Reliability Proven by Years of Experience. We prioritize safety on every job site for our customers, our employees and the public. Giving back is part of our core. In all that we do, we recognize that every job we are involved in is part of a larger community.